Last Saturday, my husband, my daughter and I went to BJs for our monthly shopping of meat (mainly). When we first walked into the store, my daughter, Sophia, recognized right away the song that was playing. Knowing that this song, Ed Sheeran’s ‘Photograph’, triggers me into thinking about Tyler and last winter as a whole with my Anxiety and Depression, she took her index fingers and stuck them in my ears. She kept them there until the song was over. This action of protection… is something a parent would do. I realized after this event occurred that in a way, I was no longer the parent. Sure, I yelled at her at times, checked her homework, made her bathe… but when it came to protection, she had the control. Reliving this event in my head after my shower on Sunday, had me wrapped in a towel, sitting on the bath ledge, crying. I am supposed to be the protector. With tears rolling down my cheeks, I realized that this was not the first instance. She has been protecting me since I left the hospital in January. A little girl, only 8 years old, became Mommy to her mother. I am the first to admit that what Sophia witnessed last winter most likely freaked her out, especially with her Generalized Anxiety Diagnosis. I was scaring my mother, so yes, my daughter must have been frightened. First she had to witness my delusional talking when under numerous anxiety attacks. She then fell victim to my many crying spells. She was at the dinner table when I said I was too nauseas to eat and she saw my fear about sleeping in my room. Then she lost her brother when he went back into DCF custody, as I was spiraling into a dark hole. After the unthinkable happened, she had to live without me for 5 days while I was in the hospital. Five days she couldn’t hug me, kiss me, or cuddle with me. She couldn’t even see me. Our only contact was over the phone and there was a time limit. I believe within those 5 days she came up with the plan that to not lose Mommy, she needed to protect me. When I arrived home after my hospitalization, she would watch me with eagle eyes. She would constantly want to be by my side. She would repeatedly ask me, “Mommy, are you okay?” if she saw tears in my eyes. When I would honestly respond no, I could see the worry in her face. That’s when she started to bring me things. If I were crying, she would bring me a box of tissues, sit with me, hug me and say, “It’s alright Mommy, it will get better.” Just like a mother would say holding her sick child. I tell her, “Sophia, it is not your job to take care of me. It is Mommy’s job.” And I hug and kiss her. Some things I will hide. A fake smile has become such a staple in my closet of Depression, I am an expert at it. Sometimes my smile is true. Unfortunately, most of my friends and family can’t tell the difference. I’ve hidden my feelings even from my therapist at times. Not wanting to share my pain… I avoid eye contact for fear that if someone looks into my eyes they will see my inner turmoil. The internal part of Depression… the reason why the stigma exists. How do you know it is real if you can’t see it? If you can’t take a blood test to prove it? My medicine bin. Last night as I was refilling my pill containers I realized this is the part of Depression that most people do not see but proves that this disease is real. Countless medications. 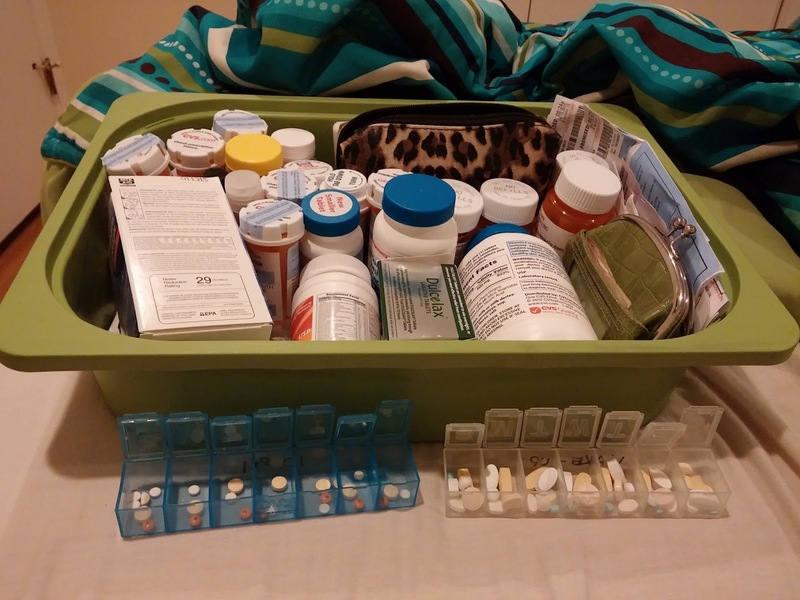 The medications to the right are the ones that are currently working for me that I take daily… Lexapro 20mg, Wellbutrin XL 150mg, Ativan .5mg, Seroquil 100mg. These are the medications that make life livable. Without them, I would be a mess. In addition to my pills there are more medications that need to be taken for the side effects of the antidepressants, anti-anxiety & anti-psychotic. This is my life. I live like someone who is Diabetic. I live like someone who has MS. I live like someone who has Cancer. I did not chose to have Depression, it chose me. I did not chose to have to take 4 prescribed meds and over the counter meds but I need to, to function. … some dreams just don’t come true. Growing up, I always wanted to be a mother. I saw myself having 3-4 children. I even had names picked out for them that changed through my childhood years. I was anxious to have kids, to see if they would look at all like me, act like me. I met my husband young at the age of 16 at our first jobs. A quiet shy boy at the time. My father wondered aloud, “You should date that studious looking boy.” Honestly, he wasn’t my type. I was interested in another boy but being that that relationship wasn’t going further than friendship with that other boy I went on a date with my husband. This was back in 1996. I found him mysterious and intelligent and grew more and more to loving him. We talked long before our wedding in 2004 about kids. He is an only child and actually enjoyed it. My mother was an only child and hated it. I never wanted an only child. Ever. Only 1 child was not in my dreams. I always dreamt of more. We talked and talked and he eventually convinced me that 2-3 was the way to go. Our beautiful daughter, Sophia, was born in 2006. One month later I was in short term psych with Postpartum Depression and Anxiety. My husband then decided 1 child was enough as he became a single parent for 12 days of a newborn while working full-time over an hour away. He would not budge from this decision for a few years. As the recession hit, I agreed for the time being. We couldn’t afford another child. As we recovered from the recession and as I saw friends having babies, I wanted a 2nd child. My husband was against me getting pregnant for fear of suffering from Postpartum Depression once again. We had discussed adoption before since we both had close relatives that were adopted. He agreed and we went to an open house at DCF on my birthday that year. After a few weeks of classes, a few months of waiting, we received our license. All we did was wait for our child. Only about 2 months later we were matched. I was finally going to have my 2nd child. The family I always dreamed of. And, he was perfect to me. A toddler full of energy (and responsibilities), curious, wanting to be loved. My love for him was instant from the first day I met him. I called him my son from that moment on. … then the anxiety came… then the depression came… then my son was removed. Almost a year later and I’m still blaming myself, blaming my illness. It’s all my fault. I am still grieving losing him to my mental illnesses. I am still grieving losing myself to my mental illnesses. 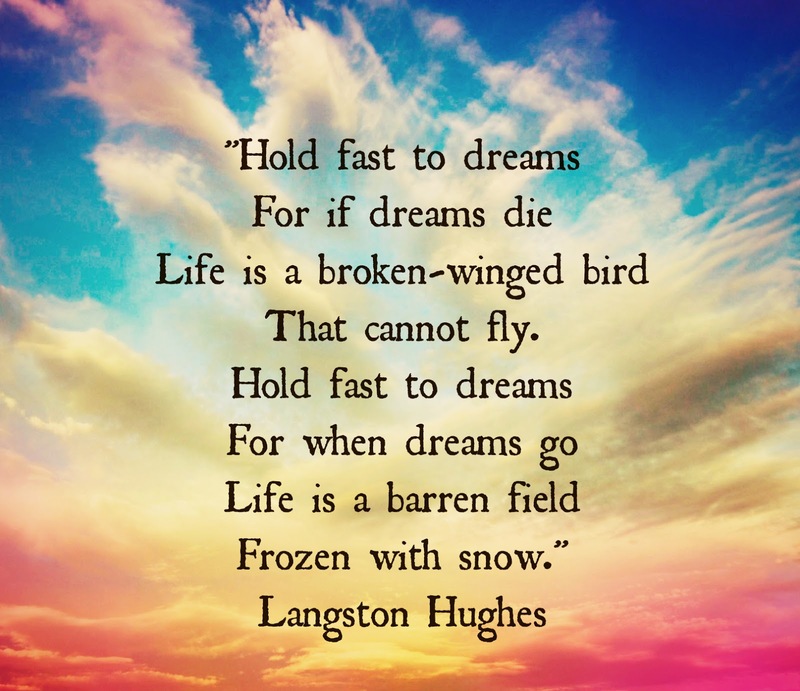 I am still grieving losing my dream to my mental illnesses. My dream… the children I won’t have. The many hugs and kisses and laughs… envisioning 3 rambunctious kids jumping on me. Watching them all play together and fight together. My dream, stolen from me by myself, by my Depression and Anxiety, my mental illnesses. A dream I have had for decades, since childhood. Yesterday, the 3 of us went Apple & Pumpkin picking, a yearly event at our favorite orchard. The instant we got there, I masked the sadness in my heart. The images of a year ago showed up once we parked. Getting out of the car I could visualize Tyler running around on the grass, him holding an apple to his upper lip, carrying him when he refused to walk, and seeing him placing sticks in the big metal pumpkin. My boy, my son. When we arrived home, I was so irritable and sad about this. I yelled at Jimmy for miniscule things. Everything was an annoyance to me until I started to get ready for my parents to come. At that point these treasured but hurtful memories went on a day trip. Then the evening came. My brain clear of all thoughts, the memories on Tyler returned, as vivid as they were before. It was as if he was sleeping peacefully in the room next door that was his. My happy mask was lifted. The “I’m sorrys” started. My husband never asked me to say I’m sorry. Depression causes me to constantly apologize even if it is just for thoughts that occur in my head that I never actually voice. My husband, having witnessed me so many times, acknowledged my apologies and went on like nothing happened. He is used to me. Once I went up to bed, the tears started. I looked at pictures of Tyler, pictures of Tyler with the 3 of us… so happy, so loving, such a beautiful family. I cried for the death of that. “I’m sorry,” I said to his face in these pictures as I traced his jawline. I kissed these photos. Photos of my boy. I cried because the blame came back, “It’s all my fault.” I cried because I was still not over the grief, the pain, the heartache. I cried because I knew as the holidays kicked in, my Depression will only worsen, that like Halloween, I will have to constantly mask myself. It’s the time of the year I realize a part of my heart resides in a little boy who is not in our house. It’s the time of the year I realize that a piece of my heart will never come back and when I heal, there will be a void where that piece once resided. It’s the time of the year I will feel an emptiness. It’s the time of the year where I will have daily battles with my Depression, my old friend and enemy. It’s the most “wonderful” time of the year. Of course, I worried for nothing. I woke up with plenty of time to get to the airport even with traffic. Half asleep I dragged myself through security and even managed to order breakfast at the Dunkin Donuts. Once on the plane, I took out my Word Search book and my bubble grew encompassing all of me and I was numb to my most fearful part of plane trips… lift off. No drugs needed. No nail marks in the arms of the person next to me. We landed slightly early and I made my way down to baggage claim where I met one of my dearest friends from college. We chatted while she drove me to the car rental place and I told her I would contact her when I was settled into my hotel room later after my meeting. Once I got into the car I had barely enough time to take a pass by our new store location before meeting the architect for lunch. Of course being in Maryland, I had to order crab cakes. If you want crab cakes done right, do not get them anywhere else but the state of MD! The architect and I spoke and before we knew it, it was time for our meeting at the store. Almost 3 hours later, around 3:30pm, our meeting was over. Remembering that I told Sophia I would get her something, I wandered the aisles of Five Below only a few stores down from our new location for work. Shopkins, where are the Shopkins?! No actual Shopkins, only puzzles, books, lip gloss, erasers…. Grrr. The lack of sleep and anxiety from the night before was beginning to get to me. Okay, Monster High Mini Doll 2-pack… which ones did she have?! Onto the next… a Beanie Boo! I was about to pick one up when I noticed a couple of Monster High Books. Bingo! Now around 3:45pm, I had 15 minutes to kill before I could check in to the hotel. Swinging by the nearest liquor store, I walked in, found the local section and collapsed on the floor. So tired, but I had to complete the mission at hand… what 4 wines from our favorite Maryland Winery would be traveling home with me? After all, that was my main reason for checking luggage, I needed to bring wine home. I called Jimmy. He was no help once I told him there was new Blueberry wine. Yes, those words came out of my mouth. After checking out and buying these nifty bubble wrap wine bottle bags, I was finally on my way to the hotel. Once a prestigious mansion, it was now converted to a hotel boasting rooms with an eclectic flair. I came in and the first words out of my mouth to the attendant were, “Is this place haunted?” Being a Ghosthunters fan, I was disappointed to learn it was not. After much difficulty in locating the keys to the Z Suite, we made our way over to what may have once been the carriage house. Once inside, the keys failed to give me entrance to my room. Just my luck. Here I was overly exhausted, wanting to lie down for a minute and the bed was laughing on the other side of the locked door. I could hear it, seriously. The attendant went back and grabbed the keys off the housekeeper’s set. Success! Upon entering I crashed on the bed for 10 minutes soaking into the memory foam. A moment to relax amongst the chaos of the day. Feeling the urge of Mother Nature I made my way into the ornately decorated bathroom and instantly spotted the Jacuzzi tub… Oooh! I could go for this. I decided I needed to take a bath right away. Being a mom, I never get the chance to actually take a bath and without interruption. The water took its time filling up but felt nice when I got in. Although I am a lover of hot water, I may have made this bath a bit TOO hot. I took a few deep breaths and 15 minutes later I exited my bath calm… and sweaty. Now 5:20pm, officially up for 12 hours, I got dressed and headed out to see my college friends and their sons practice baseball. We gabbed. I met some new people and some old people. I called Jimmy to remind him to check Sophia’s homework, sign her planner, make her lunch… Now about 8pm we were on our back to their new house. I got the tour by the 2 cutest boys, was licked to pieces by their adorable dog and enjoyed a nice home cooked meal. I loved that I got to see them and only wished I had more time with them and that Jimmy and Sophia could be there. By 10pm, my eyelids were ready to close. The hotel was only 10 minutes away. I couldn’t wait to hit the bed. My eyelids immediately closed but my brain would not turn off. Sleep was cumbersome. Not good. Second night of not good sleep. I knew what this would mean. Enter anxiety and irritability. In the morning, I grabbed a quick breakfast, packed up, checked out and went to the local park for a walk. I knew being outside and getting some exercise would be a good thing. Before I knew it, I had circled the lake twice and racked up 4.98 miles. Almost 11am, and with a 1pm flight, I got gas, returned the car and got to the airport into the security line. I was a Zombie. Tired from lack of sleep, tired from the walk, I moved as if I were a dead cow in the midst of this very very slow cattle line. My brain was foggy. Flying once again was simple as the bubble instantly grew with the Word Search book. I felt my eyes close a few times. After landing, picking up my now wine filled checked bag and getting my car, I braced myself for the longest leg of my trip… driving home. It was long, had some traffic and I was alert but out of it. As soon as I came home I unpacked. I didn’t want to do it later. We had Sophia’s 4th Grade Open House at 7pm and I wanted to just crash when we got back. I was so tired. Following unpacking, I made my lunch and breakfast shakes for Thursday and Friday and then climbed into my car and picked Sophia up from school. I couldn’t tell you what happened after that. I think I mentally blacked out. 36+ hours running on little sleep, overwhelmed with extreme highs of going back to Maryland, having responsibility for work and seeing friends I haven’t seen in 2 years was quickly followed by a sadden feeling, exhaustion, sarcasm and irritability. I call it the Business Trip Bipolar Disorder. I contemplated committing suicide when I was 18. A lot was going through my mind. “After one of many arguments concerning an 18th birthday party, the stress of the work at school, the stress of work itself, and the large feeling of neglect, I sat in my bedroom one morning holding a case cutter (from work) in my right hand on top of the skin of my left wrist. So much was going through my mind. Would anyone notice if I were gone? Would anyone care if I were gone? Would anyone cry at my funeral? Was this the ideal answer to my issues? Would anyone try to save me? In one week I will be taking a business trip to Columbia, Maryland and although I am excited as anything to be in my old stomping grounds and to see close friends from college, I am scared. A week away and already the anxiety is beginning to boil deep within me. I am panicking about everything. Why did I make the flight so early? How the heck am I going to get myself awake enough to leave the house at 6am for the airport?! Should I make coffee before for the drive? And then, the worst of it all… I hate to fly. I mean HATE. I do it otherwise I would never go anywhere but I hate it. Flying never bothered me. In fact in college I looked forward to taking the 1 hour flight home every vacation. Then our honeymoon happened. A rather enjoyable vacation that was flanked by hurricanes. Very common for September in Florida. The flight down consisted of turbulence I never experienced before as we flew through the remnants of Ivan. The flight attendants turned it into a joke calling the flight, “the best ride we’ll go on this whole Disney vacation.” To make matters worse, it seemed as if Hurricane Jeanne hung out long enough to cause us to have to leave our honeymoon a day early. Flying since then has been unbearable in my head even though the flights are normal. All of the flying I have done since then, 11 long years, have been with my husband. Next week, I fly alone. There will be no one there for me to squeeze their hand or dig my nails into. And although proven to not interfere with take off, I still need to keep electronics off. Lastly, they took away the Sky Mall magazine. What am I going to do? Word searches calm me. I can try that. I have plenty of antianxiety meds but I am leery at consuming them as I need to meet someone a couple hours after I land and should be coherent. Panic has hit. Sleep has been hindered. Nerves are unsettled. Heart beginning to beat fast. Although trying to be helpful, an Anxious person can’t just “Calm Down.” It is so much easier said than done. I have had the same therapist for years… over a decade. He has seen many other of my family members and it was only natural for me to start seeing him. For years he has been promoting exercise as an antidepressant. I do not disagree with him and within a couple of years of him preaching this, I finally stepped out of my comfort zone of doing nothing and started to hike. Money was an issue so I needed an activity that would be of minimal expense. In the beginning, hiking only required me to have shoes. Since then, this hobby has cost a bit more with hiking boots, hydration pack, night light, etc. 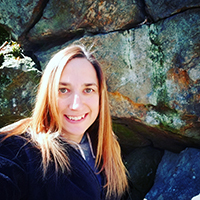 I’ve been a huge excuse maker in the past and as I was enjoying the outdoors three seasons of the year there was that daunting season of Winter I needed to deal with. I came up with every excuse. It was a year before I finally went to the local park and strapped them on. This was when my “Attachment” disorder started… with my trekking poles! They are my hiking Besties. These poles came as a set with my Yukon Charlie snowshoes and I haven’t been able to part with them. I use them for snowshoeing switching out the baskets depending on whether the snow was fluffy or there was a layer of crusty ice on it. When the snow melted, these poles traveled with me on all my hiking excursions. I never left them behind. They are a security blanket for me out on the trails. And then, one of the tips cracked and broke off. 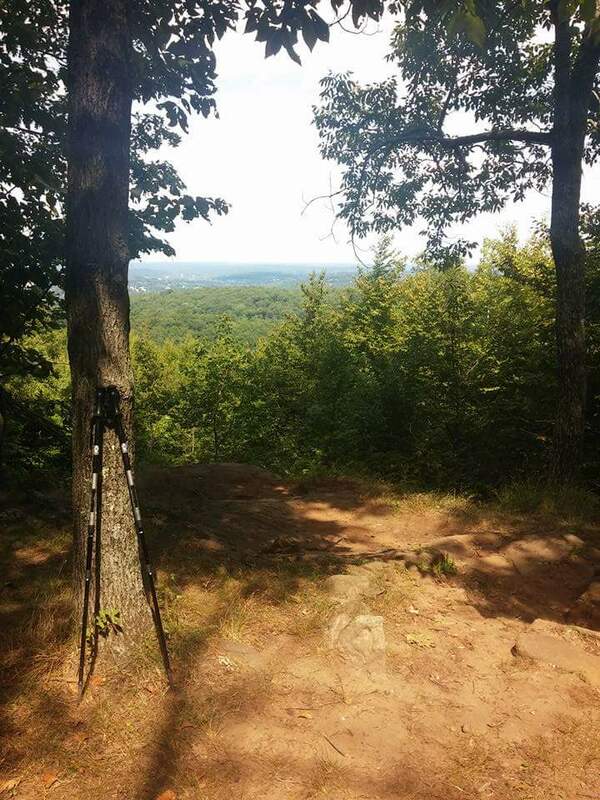 I was devastated, trying to hike high elevated trails with one pole. I even went through suggesting other poles to my husband as a present. Inside my heart was breaking. These are my first set of trekking poles and I was very much attached to them. I really didn’t want any new poles. I wanted these. I tried plumbers tape first. I took them out for a winter hike. The tip fell off again. Luckily, I was able to find it and stick it in my pocket. I thought for a bit. Then it hit me… Crazy Glue! I crazy glued the tip and crossed my fingers. It has been about 18 months since that happened and I am thrilled to announce the Crazy Glue is still holding. I am still hiking with my first born trekking poles. Sure the paint is nicked all over and the height arrows are almost gone from view, but they are mine. There of course have been certain circumstances where I could not take my trekking poles with me… Alaska last year. We weren’t checking luggage and it would be deemed a weapon. Yes, this did affect me. Niagara Falls this summer. I didn’t think I would need them nor did I think I would actually get to hike. Turned out I was wrong. I missed them. My attachment to them is still there. I am not sure why I feel so strongly about a pair of metal sticks. I think I am so drawn to them because these items were there when I got pulled out of my funk so many years ago. These poles are with me when I hike or snowshoe and am rejuvenated from it. These poles encompass a world of happiness for me I don’t want to lose. These poles remind me of a stronger me.